An anti-ship ballistic missile (ASBM) is a military quasiballistic missile system designed to hit a warship at sea. China displays DF-21D Anti-Ship Ballistic Missile for first time at Victory Day. In the early 2000s there were rumors of a new Chinese “super weapon” the DF-21D. Reports at the time stated that the missile could easily strike a US aircraft carrier. But the missile’s abilities seem to have been exaggerated somewhat. The range of the missile will likely end up being around 3000 km and it has a highly precise homing system. The DF-21D is based on a variant of the DF-21 (CSS-5) medium-range ballistic missile (MRBM) and gives the PLA the capability to attack large ships, including aircraft carriers, in the western Pacific Ocean. The DF-21D has a range exceeding 1,500 km and is armed with a maneuverable warhead. 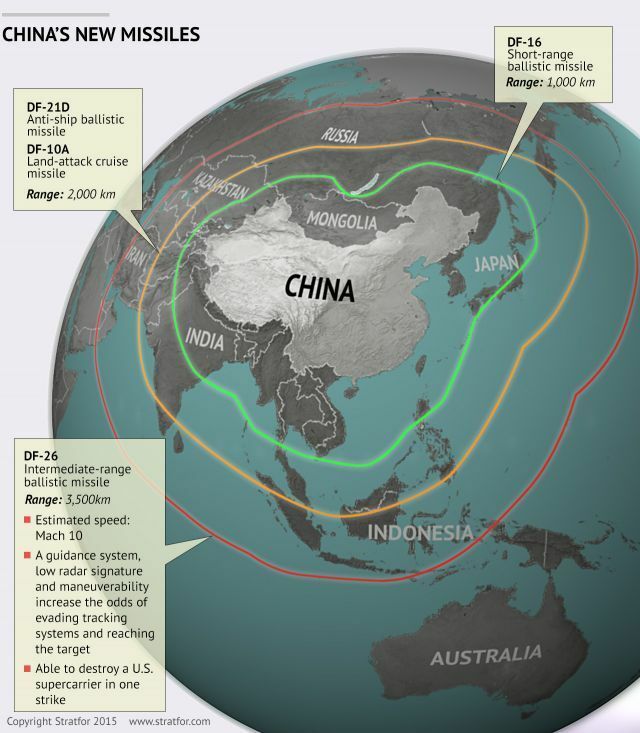 The DF-21D would be instrumental in striking a vessel in the open ocean or denying access to a potential opponent in transiting to a conflict zone, like in the East or South China Seas.